More than once every year, a number of county residents are referred by their physicians for a series of injections to protect against possible rabies infection after getting involved with a rabid or suspect rabid animal. Regrettably, many of these treatments could have been avoided if the person just took some simple precautions. While avoiding a bite from an aggressive wild or domestic animal might not always be possible, chances are good that avoiding a "non-bite" exposure is much more achievable with a little knowledge. What's a "non-bite" exposure, you ask? Simply put, it is the contamination of any open wound, mucous membrane (think: nose, mouth, and eye) or scratch with potentially infectious material (think: saliva from a rabid animal). A dog being walked through the woods tangles with a raccoon (or a skunk, fox, woodchuck, etc.). The fight ends and the owner calls her dog back to her side. She then runs her fingers through the fur of her pet, examining carefully to see if it has suffered any bites or other wounds. The owner has now had direct physical contact with potentially infectious saliva from the wild animal. Maybe she has a small cut or scratch on her hand. Or, she unknowingly touches her eyes, nose or mouth with the hand that just combed through her dog's fur. The following day - while reviewing the incident with her veterinarian, animal control officer, or the county health department -the possibility of her having had a non-bite exposure is raised. She can't recall all the details. Fearing the worst, she contacts her physician who immediately directs her to the Hunterdon Medical Center ER where she begins a series of vaccine injections to protect her. Potentially infected saliva is inactivated after it has air dried. Had she waited long enough for any wet saliva to air dry prior to examining her pet, she would have removed all worry. Better yet, the best option is to put on a pair of gloves prior to examining a pet, and then placing the gloves aside so they can air dry. Either way, eliminating potential exposure means eliminating any need for post-exposure treatment. But in those cases were treatment is necessary it also helps to know the truth. Indeed, there are a lot of misconceptions about the process of getting rabies injections. Yet, that process is not that terrifying. Rabies post-exposure vaccinations comprise a dose of human rabies immune globulin and four doses of rabies vaccine given on the day of the exposure, and then again on days 3, 7, and 14. The vaccine is given in a muscle, usually in the upper arm. This set of vaccinations is highly effective at preventing rabies if given as soon as possible following an exposure. 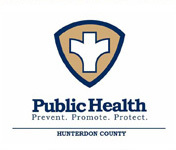 Rabies might be dangerous, and clearly, it is present in Hunterdon County. However, knowing the facts can go a long way in reducing anxieties and risks. Have Your Pet Vaccinated Against Rabies. Pets can become infected with rabies through contact with rabid wild animals. Because of this, it is important that your dog or cat have up-to-date rabies vaccinations. Because a current trend in the United States indicates that there has been a higher incidence of rabies in cats than in dogs in recent years, rabies vaccination is especially important for cats. Cats left outdoors to roam have a greater chance of exposure to rabid animals, but even indoor cats should be vaccinated, as occasionally they may get out and/or wild animals, such as bats or raccoons, may get into houses through open doors, windows, or uncapped chimneys. You should get your pet vaccinated at a private veterinarian’s office or at a free state/municipal-sponsored rabies clinic. Do Not Feed or Handle Wild Animals. Especially avoid contact with all bats, raccoons, skunks, groundhogs, and foxes. It is illegal in New Jersey to keep these wild animals as pets. Take measures to prevent raccoons or bats from entering homes, barns, garages, and other buildings. Store all trash or pet food kept outdoors in animal-resistant containers. Avoid Contact With Strays or Pets Other Than Your Own. These animals may bite or scratch you and may not be vaccinated for rabies. Report stray animals to your local health department so that the animal control officer can take them to a shelter. Stray animals which are captured and impounded are held for at least seven days so they can be reclaimed by their owner. Immediately cleanse the wound thoroughly with soap and water. Get prompt medical attention from a physician or hospital emergency room. Report all animal bites to the local health department having jurisdiction where the bite occurred. If you are bitten by a wild animal: Try to confine and isolate, or kill the animal while taking care to prevent additional bites and exposures. If captured, wild animals must be tested at the state rabies laboratory. Human treatment to prevent rabies may be started immediately or delayed until the testing results are known. In cases in which the animal is unavailable for testing, a decision to start human preventive treatment is made by the bite victim and his/her physician based on recommendations from the local health department. If you are bitten by a dog or cat or other domestic animal: Obtain as much information about the animal as possible, including owner name, address, and telephone number, a description of the animal, and the animal’s vaccination status. 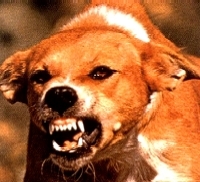 Biting dogs and cats should be kept under observation for 10 days from the time of the bite to ensure that they are free of rabies; if already showing signs of rabies at the time of the bite, they should be sacrificed immediately and tested for rabies. Dogs or cats which die or are euthanized within 10 days after biting a person must be submitted for rabies testing. Bites from other domestic animals (such as horses, cows, goats, and sheep) will be evaluated by your local health department; these animals can usually be observed for a period of 14 days to rule out the possibility of rabies. Bats, raccoons, skunks, groundhogs, foxes, cats, and dogs represent about 95% of animals diagnosed with rabies in the United States. Domestic farm animals and other wild animals may also become infected. Rodents such as rats, mice, chipmunks, and squirrels are rarely infected.